Confession time – I have never particularly liked the noise an accordion makes. Only the drone of the Scottish bagpipes ranks lower (or higher, depending how you look at it) in my list of musical irritants, so perhaps I am not the person to be writing about a band who base their music around the strident exhalings of the wheezebox. 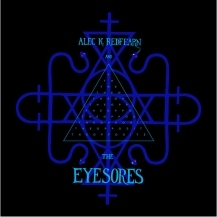 I have been aware of Alec K. Redfearn & The Eyesores for some years but never really listened to them properly until now. Curiously spooky, and slightly glam, this is certainly the most left-field use of the European folk staple sound I have ever come across. Predictable it is not, for this is a modern folk music with avant dirt under its fingernails. Final track Pteradactyl slows down the Cossack stomp of the preceding music and is a ghost ship sliding into port before briefly becoming more and more agitated only to disappear in a wisp of smoke. I suspect Alec and his troupe are a rather good live experience. I chanced on Täpp, purely by accident, whilst compiling the TPA UK Gig Guide, when their name cropped up as the support to Swiss post-jazz quartet The Great Harry Hillman. I have no idea what compelled me to dig deeper, but sure am glad I did. Täpp are Manchester (UK) based violinist Rebekah Reid and cellist Polly Virr, an experimental duo who make a rather special sound utilising loops, delays and technology to create some fascinating and engaging music. Both former students of RNCM, they draw from their classical training, incorporating several disparate genres along the way, and before disseminating into the Täpp sound, that is. 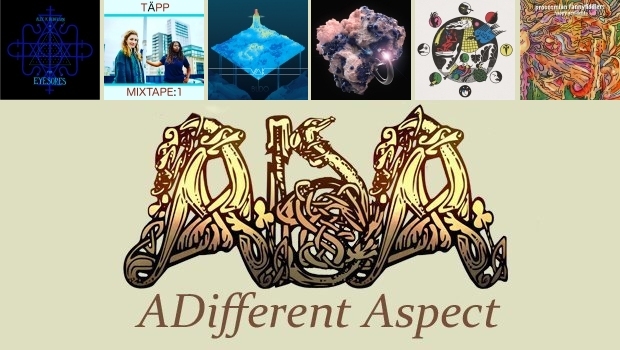 Their digital debut Mixtape:1 was released in early 2017, and a thoroughly diverse listen it is too. I have to say however that it was probably the most classically influenced piece on the album, Ode to Bach – Asian Dreams, that sold me on this release. Stunning! 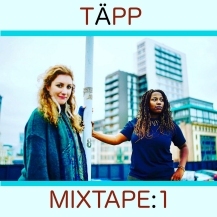 All but the final track of the album can be found on the Täpp Youtube channel, which well worth the visit to see Rebekah and Polly perform the pieces. Sounds a little highbrow, or a little too experimental perhaps? It’s not, but that’s as maybe, however having researched Täpp a little further, I can assure you that this duo have many more strings to their bows. Purple Haze anyone – and you’ll have to watch to the end to see if they smash their instruments on stage. VAK have been around for 10 years. 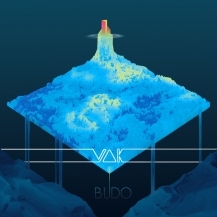 Budo is their second full length release on the Soleil Zeuhl label and their first album proper, following Aedividea, which was a combination of two EPs. Now with a slightly different line-up, Budo is like a big giant flower that is ready to blossom. As a reference I could hear some particular vibrations between Present, Magma, Klaus Schulze, and Mahavishnu Orchestra. Joel Crouzet’s fast and furious bass playing carries hints of Jannick Top and Michael Henderson (Miles Davis) throughout the opening title-track, which also has a little reference to the Moonlight Sonata, from the keyboards, in the opening section of this 27-minute piece. Once you listen to the second section of Hquark, you can imagine John McLaughlin making a guest appearance with Magma during the sessions for Kohntarkosz. Aurelie’s vocalizations are still very luminous as she carries Stella Vander’s light. It’s very smooth, haunting, and jazzy. Concluding the three track album, Au Fond Des Creuses is very much the calm after the storm and shows the band returning home after a eye-popping adventure for a long-awaited break. Since first discovering VAK in 2012, their second release is a welcome return and a considerable development from their debut. Portugal might not be the first port of call in a global search for new music, although my last visit unearthed Griot’s 2016 debut release, and that turned out to be a welcome find. So will Shell From Oceanic continue the trend? They certainly do, although a different animal to the aforementioned. This instrumental guitar based quartet create an impressive sound, albeit leaving me wondering where all the keyboards came from? 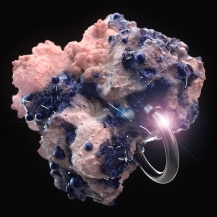 Regardless the music speaks in volumes, based around complex, minimalistic electronic sequences, the band chop and change direction with great precision, whilst seamlessly crossing genres without a moments hesitation. The format maybe fairly standardised across the album – interlacing keyboard washes and sequences, complimentary textures, opposing incisive guitars and all locked into place by a rhythm section that groove and kick at will. 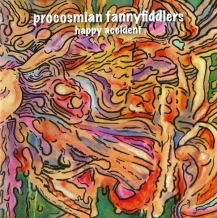 So there’s certainly an opportunity for this to become wearysome, but cunningly this is not a band that dwells on any single idea for very long. And at thirty minutes, How To Let Go is long enough to grab the attention but not outstay its welcome. Thoroughly marvellous stoner-Sabs riffage filtered through a UK punk sensibility from the loudest band in Newcastle, a city that has a thriving and, as ever with these things, somewhat incestuous underground music scene. Two of these fellas play in avant-folkie Richard Dawson’s band, and Dawson himself guests somewhere in here on synths, unlikely as that might sound! 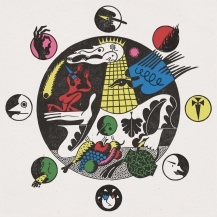 Second only to current media dahlings Idles in the way they have made critics sit up and take notice, not that that has owt to do with owt, Pigsx7 will shake the loose plaster off your walls and fry the cobwebs in yer noggin with this slab of feral ferocity entitled King of Cowards, their second album. An unhealthy obsession with Catholic guilt and the seven deadly sins permeates the lyrics, and that suits the dirty noise just fine. You’ll be too busy bangin’ yer head to bother with reading them, I’m sure. They also know how to weave a tune into all that racket, a saving grace that puts them on top of a pile of lesser noisy oiks, whose over-reliance on The Riff can sometimes get a tad boring. With the USA currently leading the way in forging a new path for heavy rock/metal, with the likes of Elder, All Them Witches, and King Buffalo (and an honourable mention to Poland’s Weedpecker in dispatches) laying waste to everything in their collective path, it is fair to say that in Pigsx7 they have some decent competition from the country where Sabbath kick started this sort of thing 50 years ago. I’ll bet they are fabulous live, too! The Procosmians return after a five year hiatus! Return? Never even ‘eard of them! Well I doubt you will be alone, but for my part I’ve heard and reviewed a handful of their ten album releases, spanning almost two decades.